Naturally, this did raise a few eyebrows, but Haruhi is dead serious. Things get awkward when everyone realises just how serious she is about it all and establishes the SOS Brigade. What makes her quite ominous though is her unimaginable power to actually change the world, but she is totally unaware of her own power and so she is also unaware of the affect of her power on the outside world. The cynical Kyon, a friend at the SOS Brigade, is among the few who knows of Haruhi’s power, and is desperately trying to keep the world together. The first episode opens with the mysterious suicide of a junior high school girl, Chisa Yomoda. Chisa was a classmate of Lain Iwakura, a quiet, 14-year-old junior high school girl. One of the other girls in the class has been receiving e-mail messages from Chisa, and Lain discovers she also has mail from Chisa. In the mail she explains to Lain that she just abandoned her flesh. She assures Lain that she still is alive in the ‘wired’ world. After getting a new ‘navi’ and adding a ‘psyche’ circuit, Lain spends more and more time in the wired. It seems that Lain has at least 2 personalities, and Lain’s first personality is changing even now. Who is Lain? Who are the ‘knights’? Can the wired influence the real world with a prophecy? Is the real world nothing but a hologram of the information in the wired? A race of cannibal monsters called the Shokujinki exists and it is the job of the Kifuuken, an elite group of beast-hunters, to stop them. Momota Toshihiko, an expert swordsman and son of the Kifuuken organization’s leader, unexpectedly falls in love at first sight with a beautiful girl named Yuka. However, the couple’s relationship is much more complicated than it seems at first glance, for Yuka is a Shokujinki. In Akihabara a group of friends have managed to customize their microwave into a device that can send text messages into the past. As they perform different experiments, an organization named SERN who has been doing their own research on time travel tracks them down and now the friends have to find a way to avoid being captured by them. Mousou Dairinin is about a social phenomenon in Musashino, Tokyo caused by a juvenile serial assailant named Lil’ Slugger (Shounen Bat, or Bat Boy in the original Japanese version). 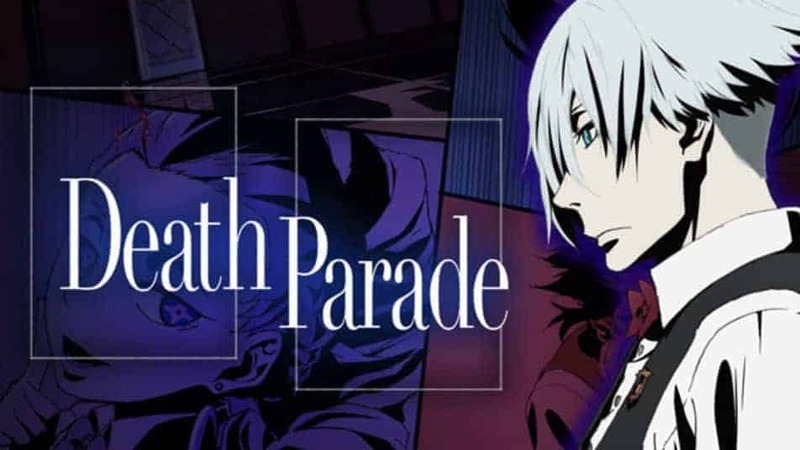 The plot relays between a large cast of people affected in some way by the phenomenon; usually Shounen Bat’s victims or the detectives assigned to apprehend him. As each character becomes the focus of the story, details are revealed about their secret lives and the truth about Shounen Bat. In the vibrant yet dilapidated underground city of Lux, the denizens have come to call it “The City” and treat it as a sentient force. Three factions vie for control of the city: the Organo, a strictly professional conglomerate with ties to the criminal underworld in the prosthetics business (Texhnolyze); the Union, a fanatical populist group interfering with Organo’s affairs; and Racan, a marauding group of Texhnolyzed youths. Trying to get by on a daily basis are: Ichise, a stoic prize fighter who loses a leg and an arm to satisfy an enraged promoter; Oonishi Keigo, a young but level-headed executive of the Organo who has many enemies; and Ran, a little girl who has a very important gift that affects the entire city. As they struggle to accept the challenges that they are dealt, they bear witness to major events that determine whether the city continues to exist. After death, humans go to either heaven or hell. But for some, at the instant of their death, they arrive at the Quindecim, a bar attended by the mysterious white-haired Decim. He challenges them to the Death Game, wherein they wager their lives and reveal their true natures.